This adorable little white cotton blend baby gown is made by Rosalina, a leading designer of classic children's clothing. 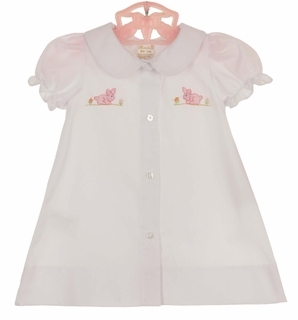 It features a front buttoned closure, short puffed sleeves with elasticized ruffles and a Peter Pan collar. Embroidered pink bunnies accent the bodice. 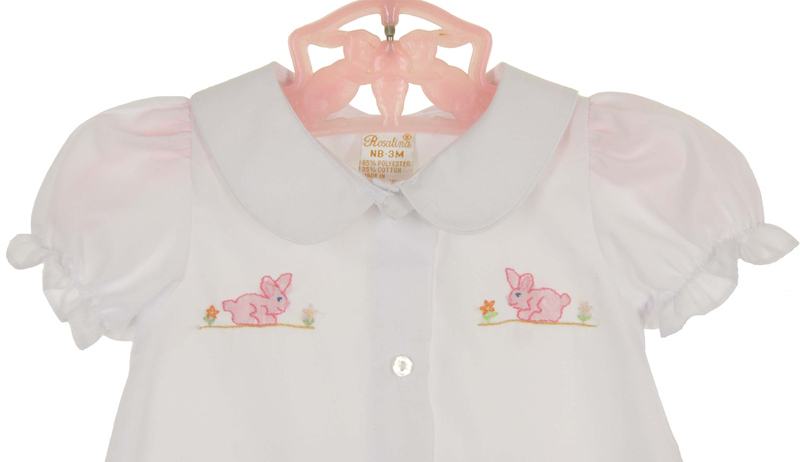 The perfect Easter or take home gown for your baby girl! Matching gown for baby boys is also available. See below. Size newborn to 3 months shoulder width=6¾"